Modular components allow for simple, customizable integration. Ceramic strike-faces are designed and tested to shatter armor-piercing bullets on impact--from 5.56 to 12.7mm--while composite backing absorbs residual energy. Seating and wing panels are typically constructed from molded aramid composite shells and finished with a durable nylon fabric to help increase protection from armor-piercing ballistics between 7.62 and 12.7mm. Ceramics and integrated components are the lightest protection available and feature designs such as tile mosaics to meet the most demanding multi-hit requirements. Custom cockpit and floor armor systems are tailored for drop damage resistance and full environmental durability to enhance product life and protection performance. 3M™ Aircraft Armor Systems for helicopter and fixed wing applications provide industry leading, lightweight protection for seating and wing panels, cockpits, engines and more. Whether used in new aircraft construction or in retrofitting, 3M™ Aircraft Armor Systems offer lightweight, high-performance protection for seating and wing panels, cockpits, engines and more. 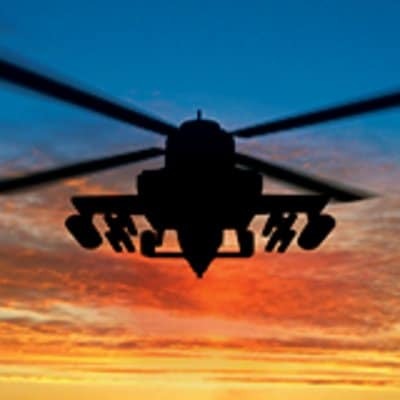 These advanced ceramic systems, developed both for helicopter and fixed wing applications, feature drop damage resistance and full environmental durability, enhancing product life and protection performance even in demanding multi-hit applications.